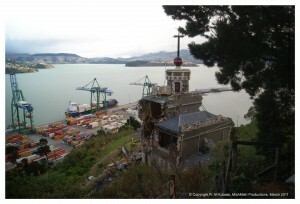 This week I have had the opportunity to go through photographs taken of the Lyttleton Timeball station in its current disabled state. The photography was taken during the recording of the Station using high resolution digital photography, Total Station survey and 3D laser scanning, and reported here As I looked at the photography taken by Raysan Al-Kubaisi, I was struck by the history and events that this once strong and proud building would have witnessed 1876-1899 Timeline and 1900-1950 Timeline , and now reduced to gaping holes, subsidence and fragility. I find this type of loss for heritage and a nation so sad. The Timeball station is not the shell of a building that has experienced years of neglect and decay. NZHPT has classified it as a Category 1 Historic Place, internationally significant to maritime history NZHPT registry entry. The station has been admired, cared for and preserved. It has played an important role in the story of navigation, to which New Zealand is integrally linked, from Polynesian settlement through to European settlement. 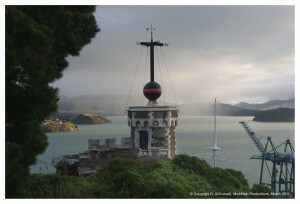 Used to accurately set naval chronometers, establish longitude and enable accurate navigation; from 1876 to 1934 at 1pm each day the Time ‘Ball’ was dropped the 15 foot height of the tower. With an uninterrupted sight line between the ships in the harbour and the Station, sailors could reset their instruments each day. With only 5 of these Stations still in working order in the world Wikipedia entry, it was a truly majestic site. I do not use the word majestic lightly. 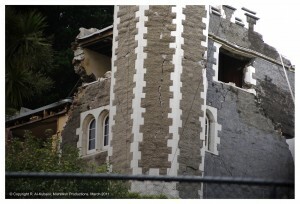 Situated on a steep slope that even prior to earthquake damage could be described as perilous, this mock Scottish castle sat above a sea of light weight timber frame buildings that usually predominate the New Zealand historic landscape. Its majesty is obvious from the now crooked weather vane to the still perfect Ball that sits astride its tower, to the distorted and crumbling crenulations that give the Station its castle appearance. It appears solid in the landscape, quite certain of its duty. To ensure that each person, should they want it, know the exact time of 1pm why? once a day It is something we take for granted, but once was only the domain of the wealthy and influential. Solid in the landscape it is built of a double skinned stone construction with molten rubble infill, typical of masonry buildings, including castles. It has a later brick addition. 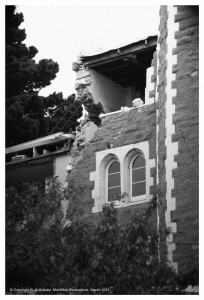 The February 22 earthquake quite literally jolted the Timeball Station and its already precarious slope to a condition where it cannot be considered for restoration article here and here and here. 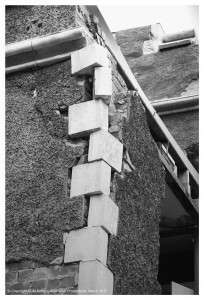 The evidence includes cracks in the earth, unstable geography, the potential of falling debris, combined with a building that is splitting apart, walls that are bowing and rooms that are subsiding… the following photos say it all (copyrite: R. Al-Kubaisi). But I leave this entry with thoughts of what happens next to retain the legacy of this piece of history, and keep it relevant to future generations? does thorough digital recording of the Station mean that the Timeball remains in the domain of computers, animation and 3-D virtual visualisation, to be enjoyed in an exhibition space or visitor attraction? 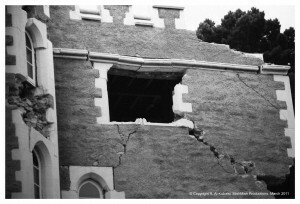 does the process of dismantling and retention of the building fabric mean that the Timeball should be reconstructed at some date in the future, for people to once again truly appreciate the form, faÃ§ade and strength of the building. does the process of walking into history, albeit in a restored version, do more for peoples appreciation of the important role it once played? does a likely change in the location of the Station change the visitors perspective? 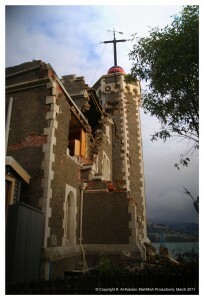 Or could it be restored to its current position with the help of modern engineering? My intuition says there is a synthesis to be reached, but Time will Tell….